Phoenix, AZ, is the fifth largest city in the US. With a population in excess of 1.6 million, Phoenix is bigger than Philadelphia and many other cities in the nation. From July 1, 2015 to July 1, 2016, the city added on average 88 residents per day, which makes Phoenix the fastest growing city in the US. Like all big cities, Phoenix has its fair share of good and bad neighborhoods. The good news for Phoenix residents is that it is not amongst the Top 20 dangerous cities in the US, however it’s not amongst the Top 20 safest cities either. Crime in Phoenix, on the whole, has been declining since the 1990s. However, given Phoenix’s geographical location, it has become one of the gateways to the US for drug trafficking. Drug trade has also led to kidnappings. In the late 2000s, Phoenix was called Kidnapping capital of the US by ABC News. Here the role of the Phoenix Police Department or Phoenix PD (PHXPD) takes precedence. If you are interested in joining Phoenix Police Department, then continue reading. If you see yourself as a potential candidate, then start by visiting the Phoenix Police Department’s official website to see whether they are hiring. If they are, you would need to fulfill the following minimum requirements. The following is not an exhaustive list. The following are in addition to the above-mentioned requirements. Apply Online –To start the application process, you would need to visit the department’s official website and fill-in their online application. This is the first step towards becoming a police officer in Phoenix. Take the Written Test – If your application is accepted, you would receive a letter inviting you to sit for the written test. On the day of your test, make sure to take a photo ID with you. You would not be allowed to take the test otherwise. You will be given 2-hours to complete 169 multiple-choice questions. Out of these, 54 questions will be on your Biodata, 35 questions will assess your Reading with Understanding ability, 40 questions will assess your Written Communication Skills and another 40 questions will assess your Accuracy of Observation. Pass the Physical Agility Assessment – If you clear the written test, you will be invited to the Arizona Law Enforcement Academy where your physical agility will be tested. This test will include a timed 1.5-mile run, timed sit-ups and push-ups. You will also be asked to climb a six foot wall. You would need to secure at least 40% in each category. The purpose of this assessment is to measure your overall fitness level. Pass Background Investigation and Appear for the Interview – If you pass the above-mentioned steps, you will be given the AzPOST background packet. You will need to complete the packet according to the instructions given and then return the packet to the Phoenix Police Department Employment Services Bureau. If you clear this procedure, you would then be contacted within 1-4 weeks to sit for the initial interview. Once this is done, you’d be expected to bring your updated resume to the first interview. Pass the Polygraph Examination – You will then need to pass the lie detector test, which will be conducted by a professional examiner. The information that you have provided on the background investigation packet will be confirmed during this examination. Pass the Psychological Test – Continuing with the application process, you will then be evaluated by a licensed psychologist, who will assess whether you are mentally fit to become a police officer in Phoenix. Pass the Medical Examination – This is a complete medical examination, conducted by a licensed physician. Pass Controlled Substance Screening Test – This is the last step in becoming a police officer in Phoenix and requires you to submit to a urinalysis. Keep in mind that completing these 8-Steps can take as little as 3 months or up to 12 months. Once you have successfully cleared all of the above-mentioned steps, you will then be invited to join the Arizona Law Enforcement Academy for training. Once you join the academy, you are classified as a recruit. Recruits are salaried employees of the police department and are paid $22.98 per hour. The recruits attend the academy Monday through Friday 8.5 hours a day for 20 weeks. Upon graduation, they are promoted to the rank of officer. Upon becoming an officer, you will go directly to patrol for field training. The following statistics were taken from the City of Phoenix official website. In addition, police officers in Phoenix are also entitled to the following benefits. As mentioned earlier, upon graduation, recruits are promoted to an officer rank. A Police Officer is then promoted to Sergeant, Lieutenant, Commander, Assistant Chief, Executive Assistant Chief and finally Chief of Police. 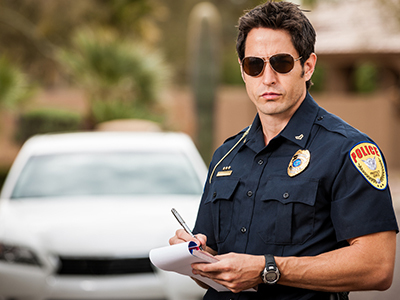 While there is no set time period for becoming Chief of Police in Phoenix, it can take more than 25 years. A police officer’s job can be dangerous, stressful and physically demanding. Police officers have one of the highest rates of injuries and illnesses of all professions; fatalities, while not common, are not rare either. Since 1925, 38 police officers in Phoenix have fallen in the line of duty, mostly due to gunfire and automobile accidents. In short, if you have decided to become a police officer in Phoenix, first check whether PHXPD is hiring. If they are, you need to fulfill their minimum requirements, in addition to successfully completing the above-mentioned 8-steps.